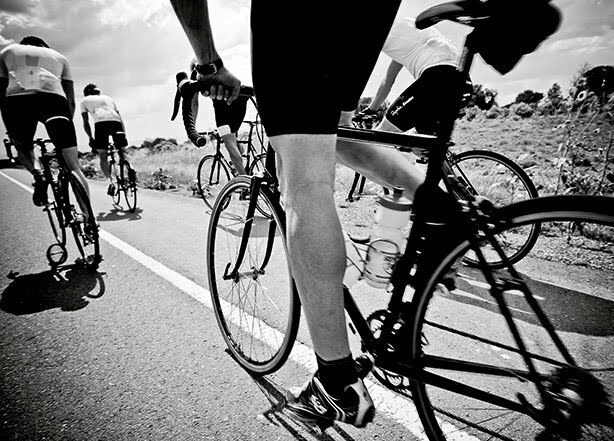 theBIKE.ca: MISC: Nine short workouts to deliver big results. MISC: Nine short workouts to deliver big results. The average pro cyclist trains 20 to 30 hours a week and logs 20,000 to 25,000 miles each year--farther than the average American drives in that time. Too many of us mere mortals mistakenly believe we need to approach that sort of volume to reach our peak. But if you work 40 or more hours per week, cramming in another 20 on the bike may wear you down rather than speed you up.